Rienaus are a band from Finland that plays a very raw and satanic form of black metal and this is a review of their 2017 album "Saatanalle" which will be released on My 26th by KVLT. A very heavy yet dark sound starts off the album and after awhile grim black metal s creams start to make their presence known and you can also hear all of the musical instruments that are present on the recording and when the music speeds up a great amount of blast beats can be heard. During the faster sections of the songs a great amount of tremolo picking can be heard which gives the songs more of a raw black metal feeling while the guitar leads are done in a very dark yet melodic fashion and the songs also bring in a great mixture of slow, mid paced and fast parts. Most of the music is very heavily rooted in the 90's second wave style without sounding too retro and there is also a brief keyboard instrumental that gives the album a horror movie feeling before returning back to a heavier direction and the riffs also bring in a decent amount of melody and a couple of the tracks are very long and epic in length. Rienaus plays a style of black metal that is very raw, satanic and traditional sounding, the production sounds very dark and raw while the lyrics are written in Finnish and cover Satanism themes. 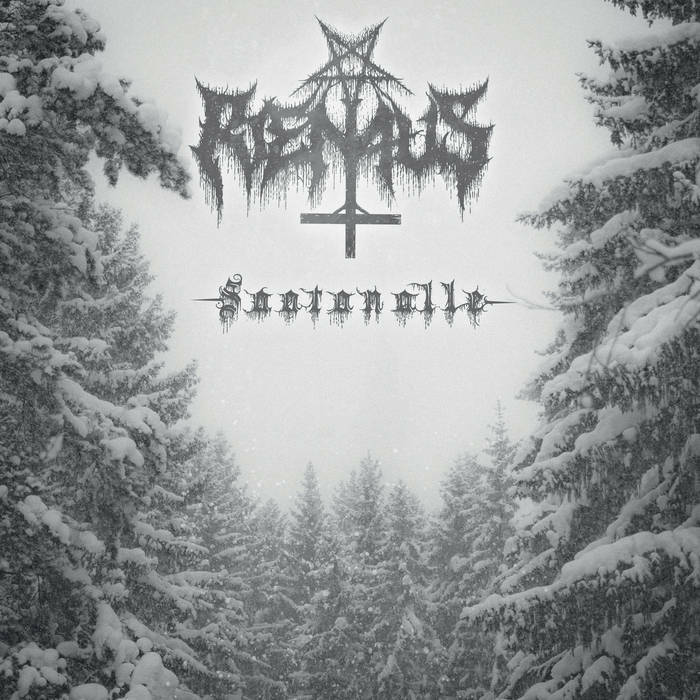 In my opinion Rienaus are a very great sounding satanic black metal band and if you are a fan of this musical genre, you should check out this album. RECOMMENDED TRACKS INCLUDE "Hanen Armostaan" "Valisoitto" and "Pimea Hehku". 8 out of 10.